A conscript who allegedly killed a Chiang Rai businessman was arrested on Saturday under a warrant issued by the Military Court. Private Wanchai Jumpa from the 34th Military Circle military base in Payao was apprehended on Friday over allegations of intentionally killing another person and firing a firearm in public without justifiable reason. 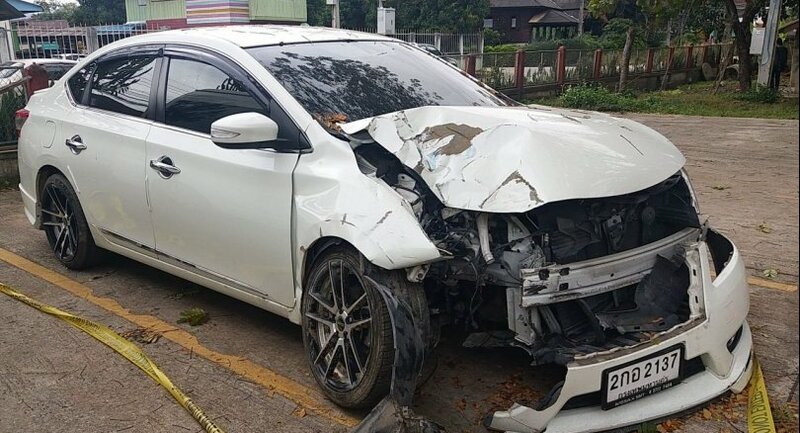 It is alleged that he murdered Sornchai Sathitrakdamrong, a construction company owner, on the night of January 2 at the military traffic checkpoint in Chiang Rai’s Mae Suay district. Staff judge advocates brought Private Wanchai to the police at Mae Suay Police Station as per the Military Court’s arrest warrant to listen to the charges and be identified by witnesses. He confessed to shooting at Sornchai’s car, saying it was because the businessman tried to drive through the checkpoint. Private Wanchai was later detained at 37th Military Circle Military Court to wait for further litigation. According to reports, Sornchai stopped at the checkpoint and was cleared to drive away. His car was then shot at, killing him. Earlier, an assistant to Moo 16 Tambon Thakor village head Wutthichai Injai confessed that he shot and killed Sornchai, but the bullets used in the crime did not match his gun. Tests showed that the bullets used in the killing were fired from a military M16 gun.